Generation are a leading supplier of solutions for fixing to Steel Structures. We can provide solutions that can be installed at ground level which means we can vastly reduce the risks involved with working at height. The Brackets we can supply you with are easily adjustable making it simple for following trades to continue their on site works. 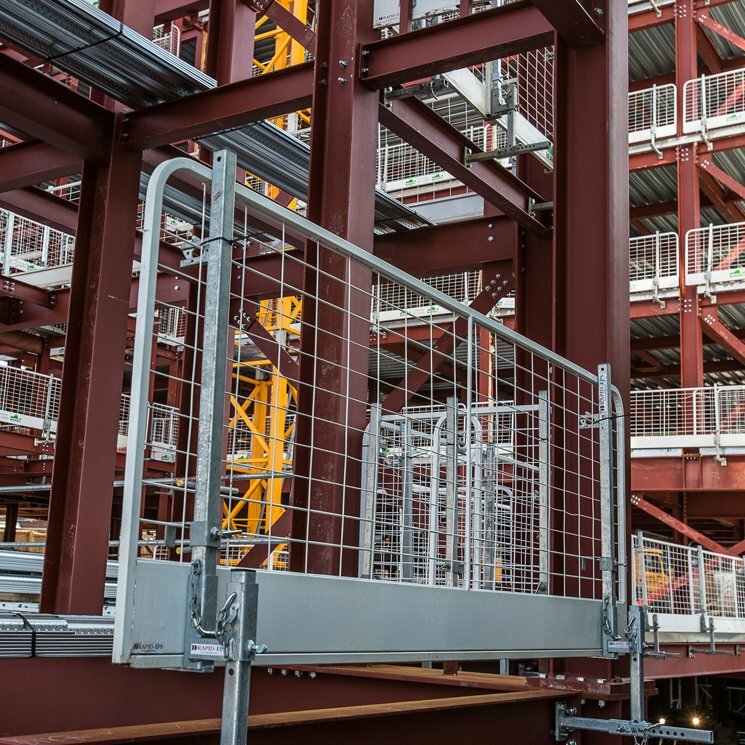 Generation provides one of the longest Mesh Panels available on the UK market, we are able to offer fixing centres of up to 2.7m meaning fewer components are required which in turn vastly reduces the installation time.